This coming quarter is looking to be a busy one. I already have my projects lined up, and I can't wait to get them all finished. A good friend of mine has asked me to make a twin size quilt for her daughter as she transitions from a crib/toddler bed to a "BIG GIRL" bed. I have the main-feature fabric, which was selected by the mom, and I have the design all laid out. I just need to buy the coordinating solid fabric and batting, and I'll be good to go. 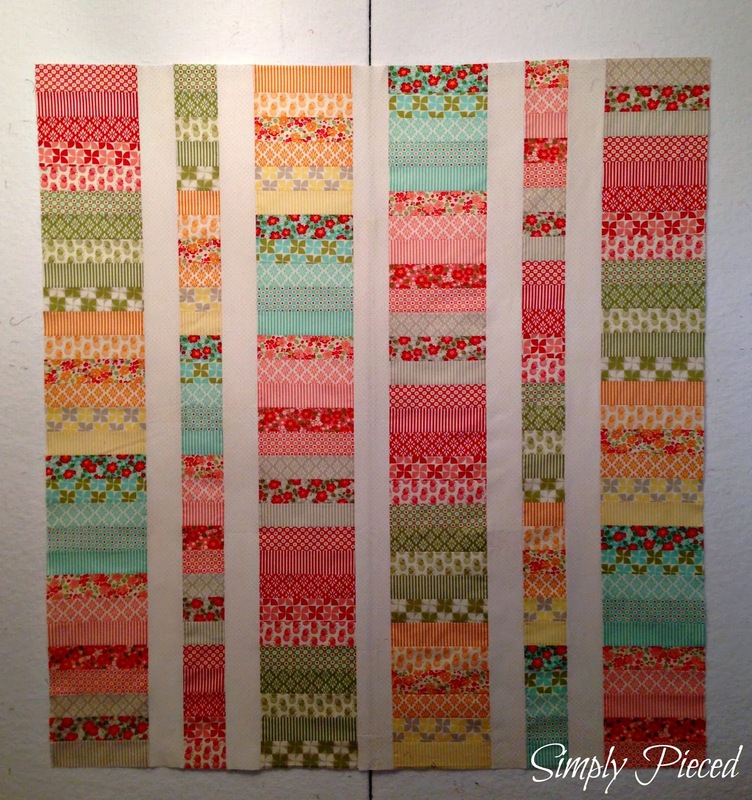 I already have the front pieced from a jelly roll of Bonnie & Camille's Marmalade collection. I'm using Amy Butler's Tangerine / Full Moon Polka Dot fabric from her Lotus collection for the back, and I'm using the large floral prints from the Marmalade jelly roll to make up a scrappy binding. My daughter's birthday is at the end of May, so I need to get moving on this one soon. 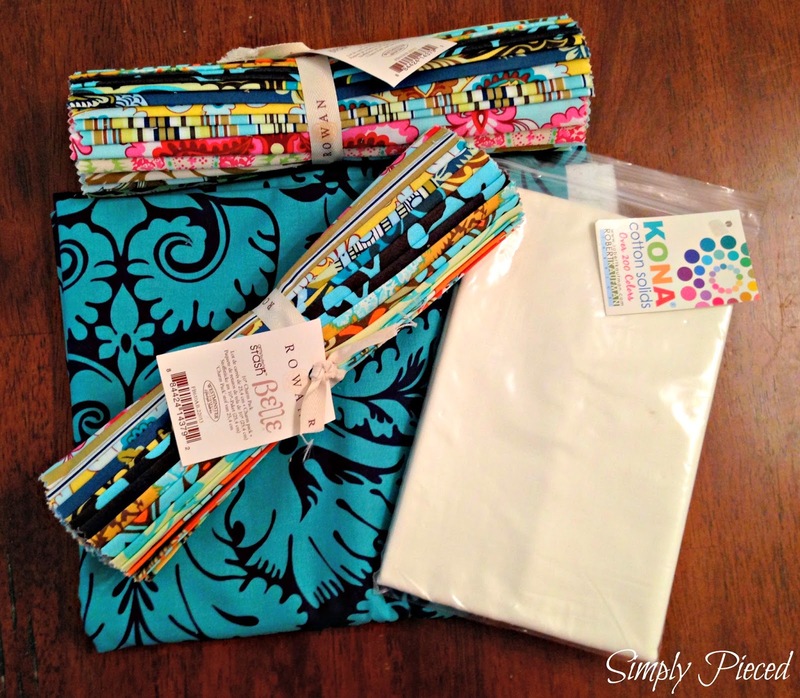 I'll be using Amy Butler's Belle collection, and some Kona Snow, to create a large disappearing 9-patch lap quilt for a dear friend. 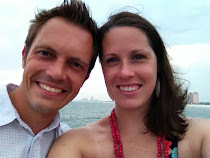 He's getting married in July and I hope this proves to be a wonderful gift for his new home together with his bride. Revamping my sewing room with a new sewing table, cutting table, and quilt rack. I can't wait to show it all off once it's completed. I haven't even seen it all yet, and I'm completely jittery with anticipation. I'll be posting about it in early June. I'm so excited about this one!!!! Making 2 new sewing machine covers that are larger and fit my sewing machines properly. I'll be squeezing this in somewhere between all the quilts listed above. It's going to be a fun-filled 3 months! Wow! (I think I say that every time I visit you. Lol) so many great projects Janet. 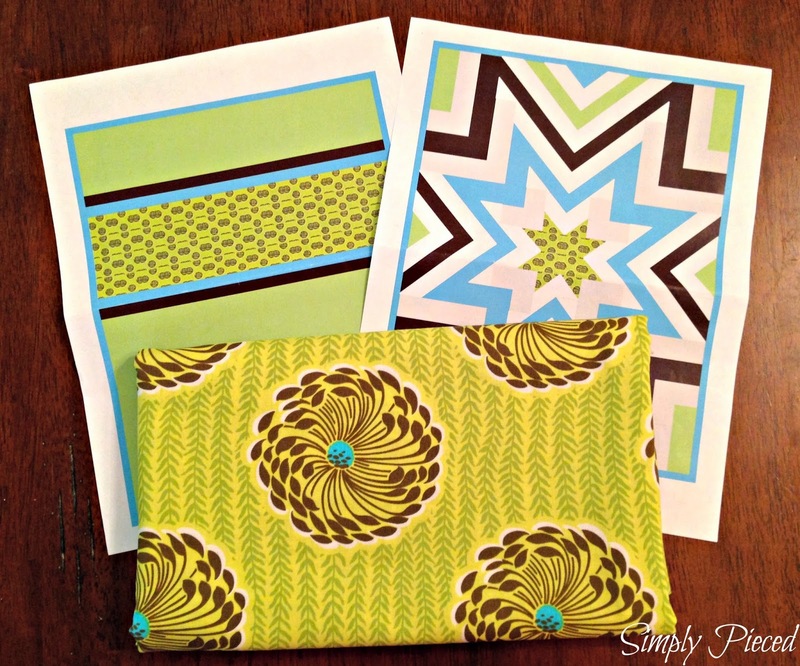 How fun to update your sewing space. And all those wonderful quilts. 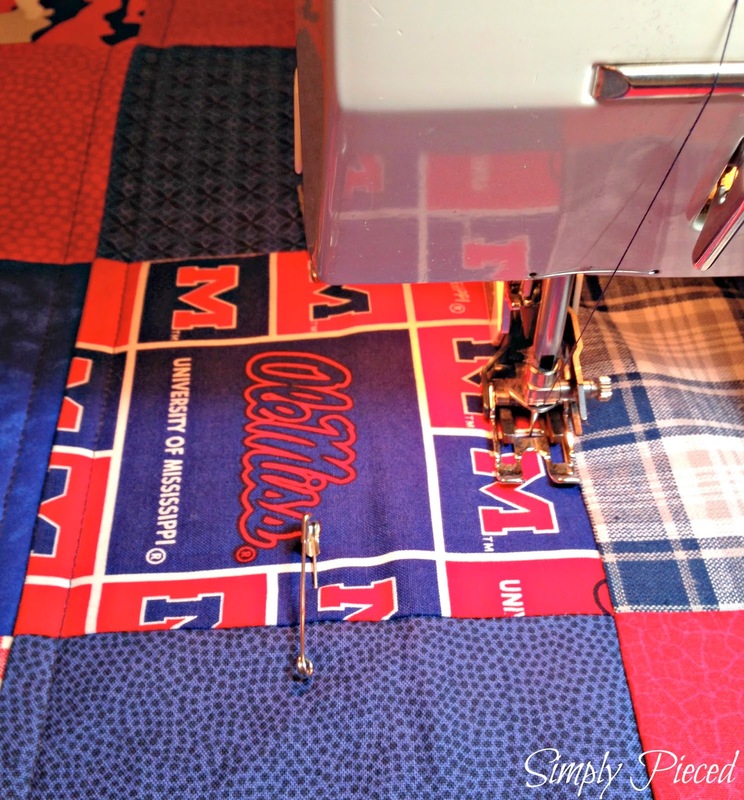 You must like your graduating friend a lot to tolerate the Ole Miss fabric in your house! 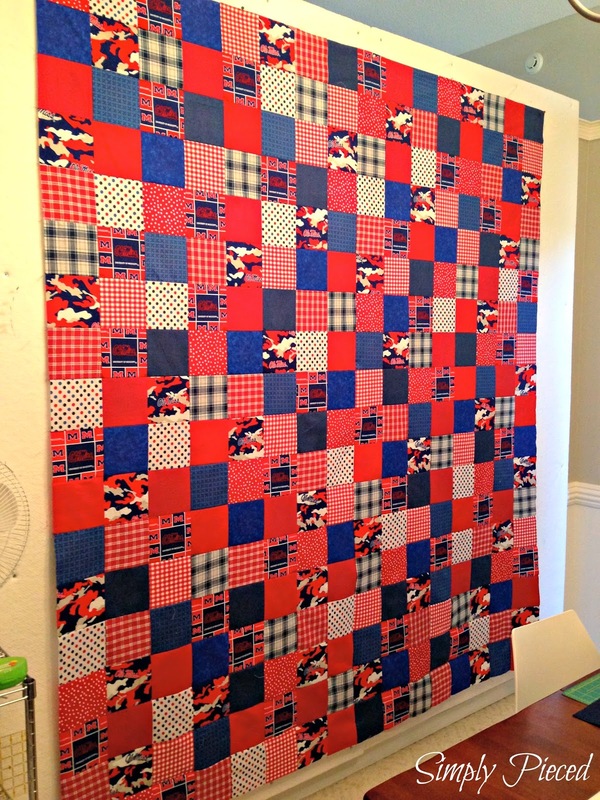 How did you do the mock up for the giant star twin quilt? It's awesome. Have a great quarter! 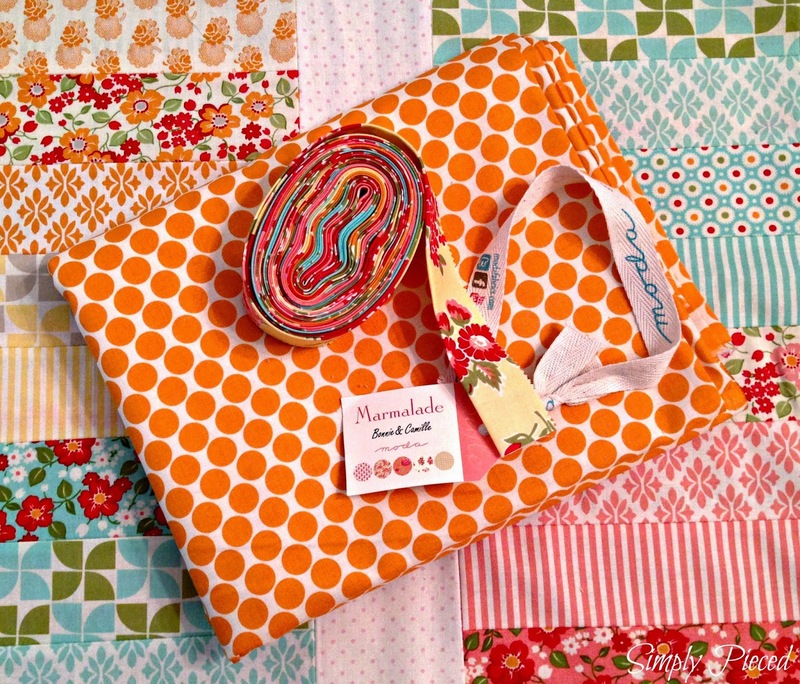 Love the tangerine fabric and all your lovely projects! Wow you have so many projects planned - all fit into three months. I couldn't do it. But yours look beautiful and I can't wait to see them finished! Oh, I can't wait for you to finish your daughter's quilt! 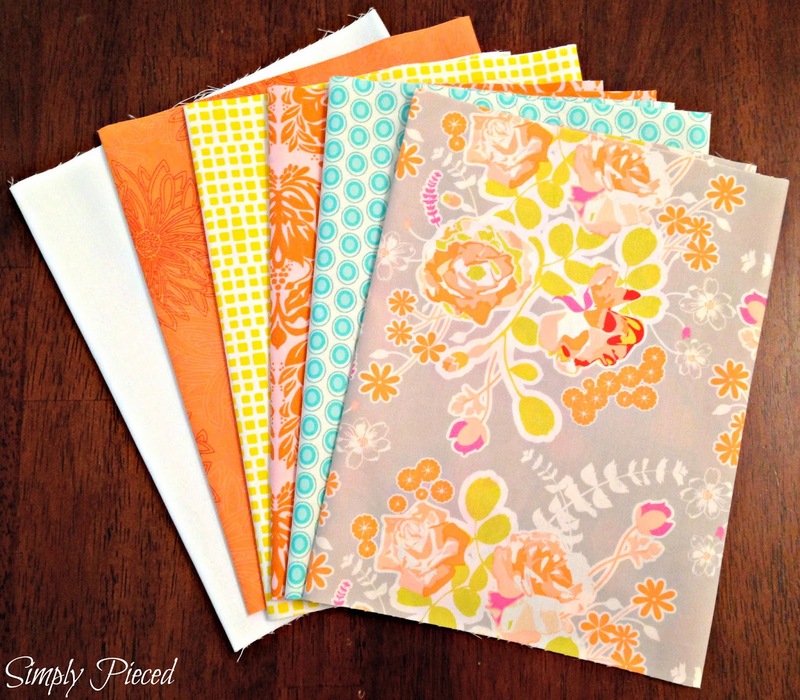 Love the backing and binding you chose! And that secret surprise?!!! Intriguing! New sewing room stuff? Yippee!!! Lots of excitement happening around here! You've chosen such beautiful fabrics! These are all going to look great! Wow, lots on the go! Love the fabrics for your daughter's quilt and the secret one in particular. You've chosen some beautiful fabrics for your quilts. I will you all the best with your many projects for this quarter! You have some nice projects going on here! Eeeh! 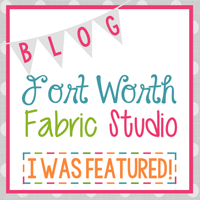 Lots and lots of exciting fabrics on your cutting table -- wow! You have some beautiful and fun projects there! I love your daughter's quilt! I hope you'll share pics of your revamped sewing room too! Thanks for sharing. so many pretty projects, love love love your daughter's quilt. Loving all those lovely projects!! Can't wait to see your star quilt!